Acrylic on board. 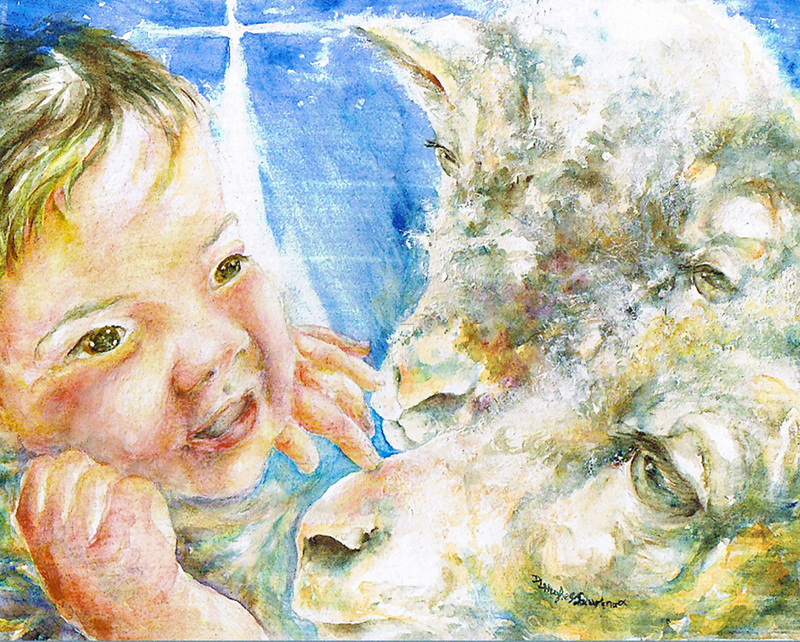 A pair of curious sheep are drawn to the gentle touch of the Christ child. The light of His love is reflected in their faces. 5" x 6.25"8" x 10"11" x 13.75"